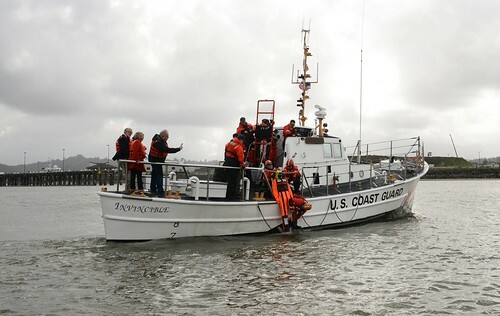 A Coast Guard Station Juneau crew member conducts radio communications with the disabled 28-foot bar tender MINI B in Stephens Passage, near Holkham Bay April 25, 2018. 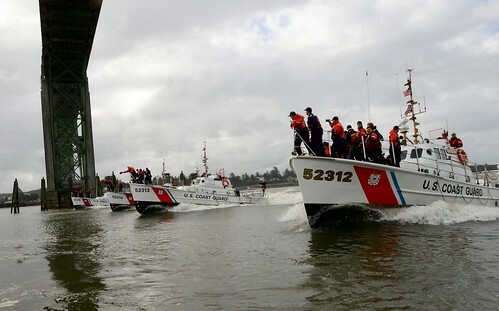 U.S. Coast Guard courtesy photo. 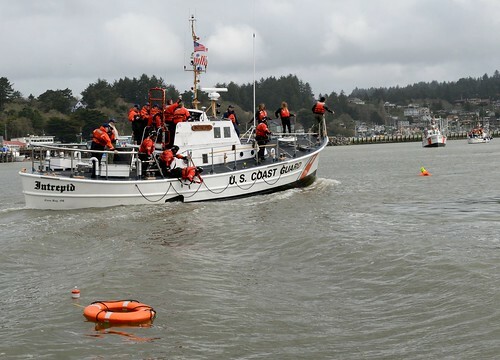 KODIAK, Alaska – A Coast Guard Station Juneau 45-foot Response Boat-Medium crew assisted the disabled 28-foot bar tender MINI B in Stephens Passage, near Holkham Bay, approximately 38 miles from downtown Juneau, Alaska, Wednesday. 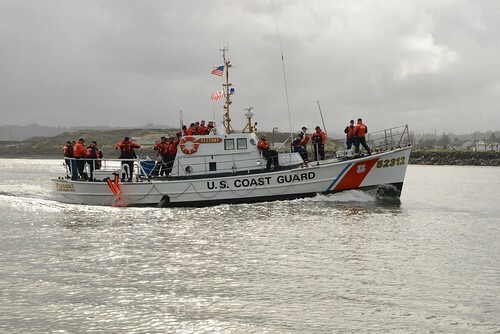 The Station Juneau boatcrew arrived on scene, placed the MINI B in tow, and safely transported the vessel and master to Harris Harbor in Juneau. 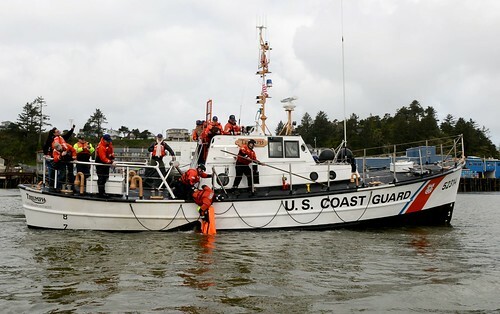 Coast Guard Sector Juneau command center watchstanders received notification from the MINI B master at approximately 6:30 a.m., on VHF-FM Channel 16 reporting the vessel was disabled and adrift in the vicinity of Holkham Bay. 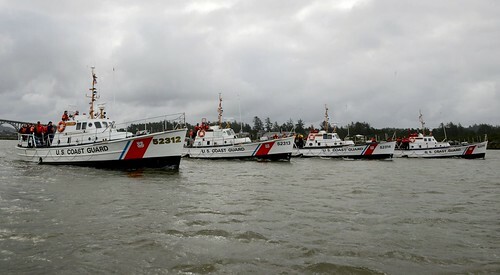 Sector Juneau launched a Station Juneau RB-M boatcrew to assist the MINI B. 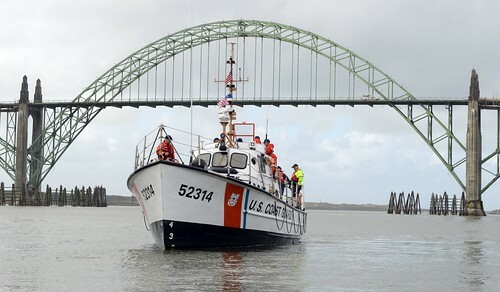 The weather on scene was 17-mph winds, 2-foot seas, and seven miles visibility.